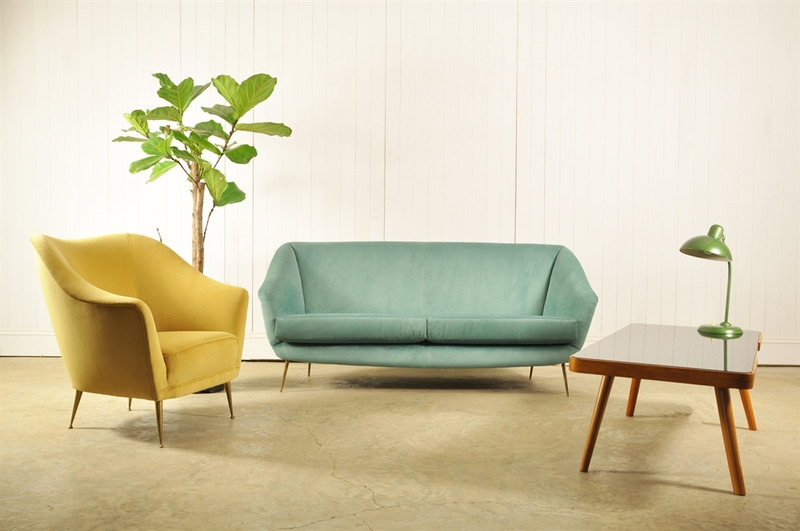 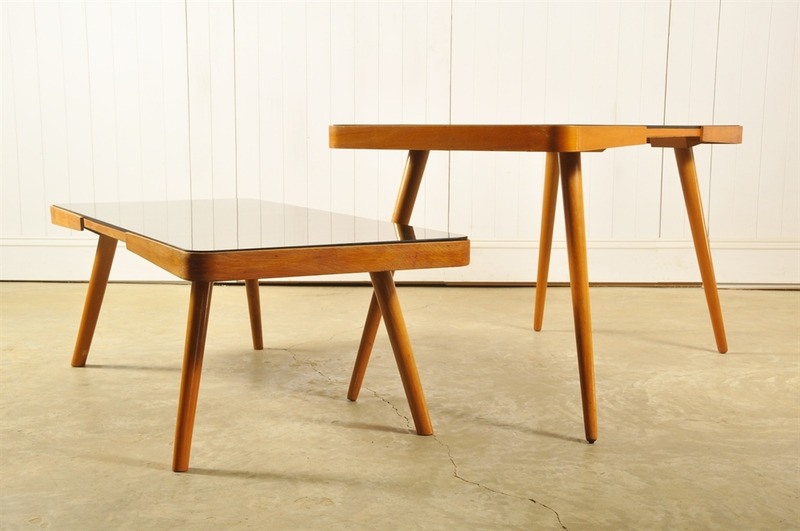 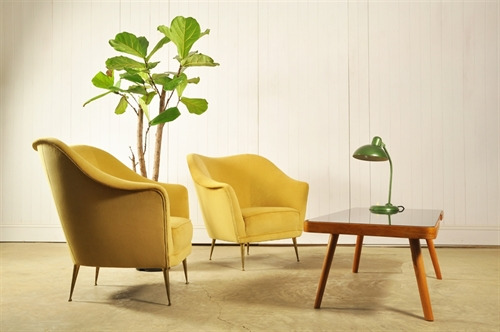 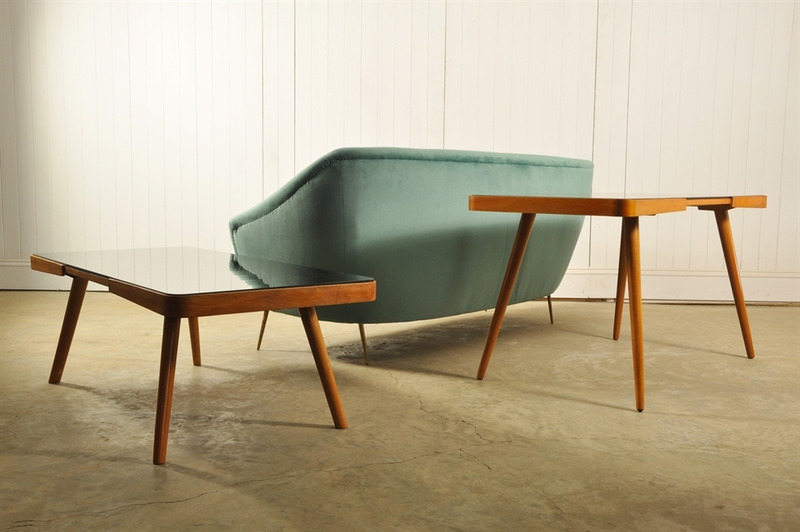 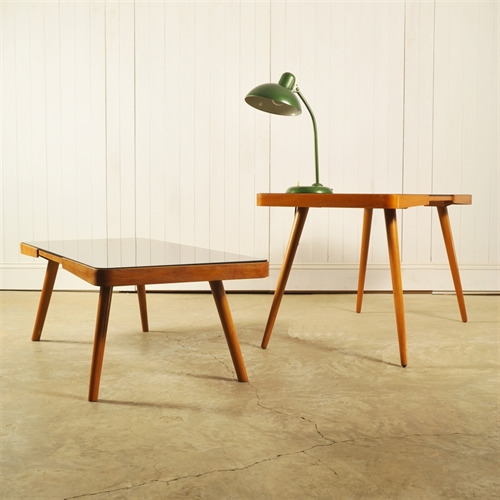 These mid century tables were designed by Jiri Jiroutek who was a furniture and interiors designer from the Czech republic. 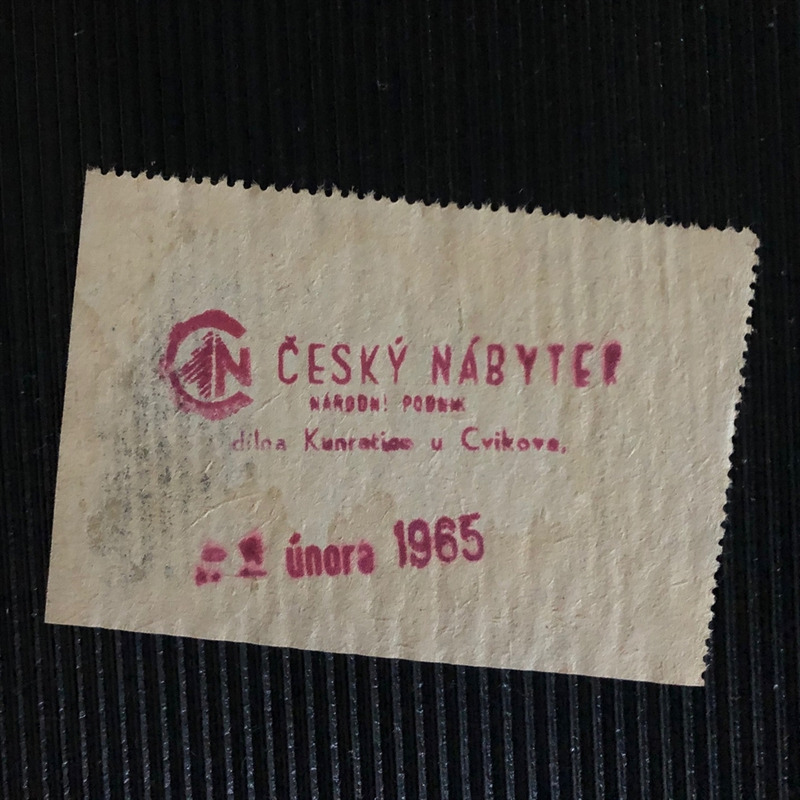 These were produced by Pesky Nabytek in 1965. 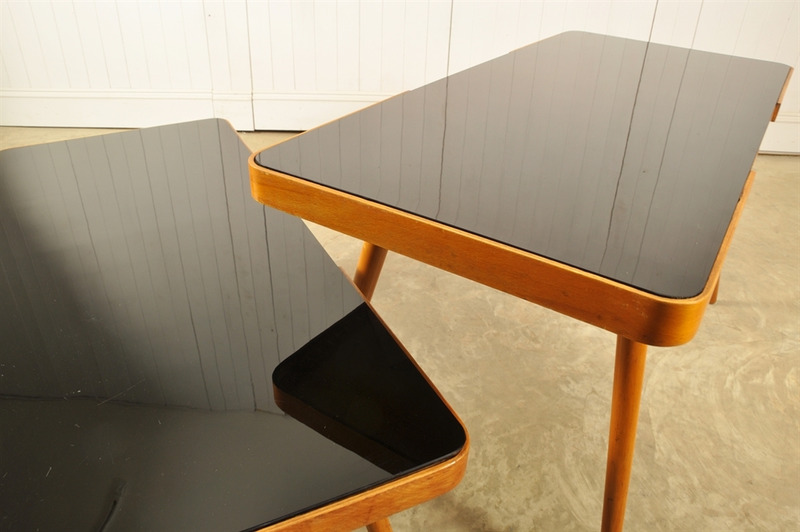 Some of the tables have their original labels. 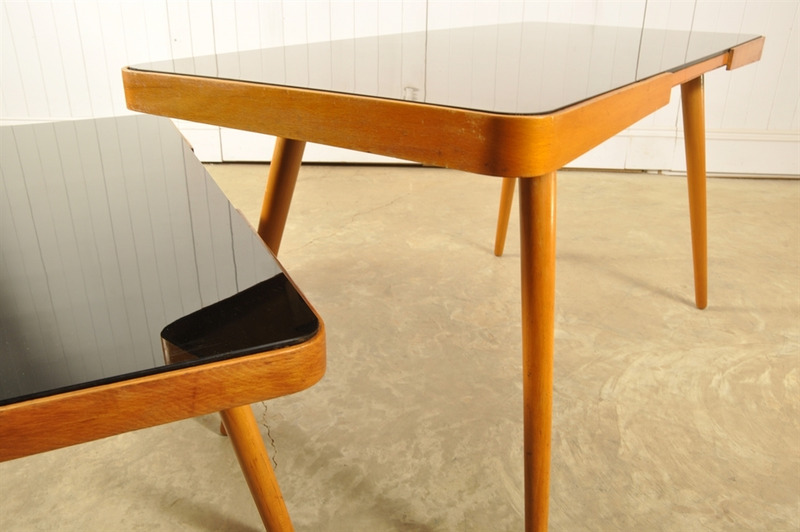 Black Opaxit glass top, the legs are made from Beech with the rest of the structure being made in Plywood. 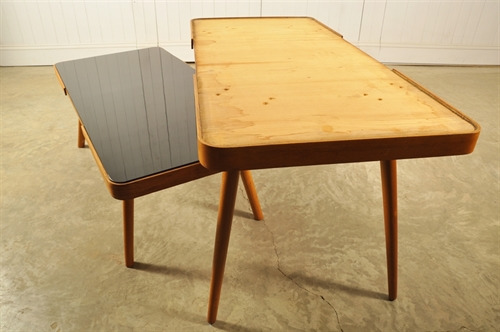 All in good vintage condition with a few marks here and there including some scratching to the glass. 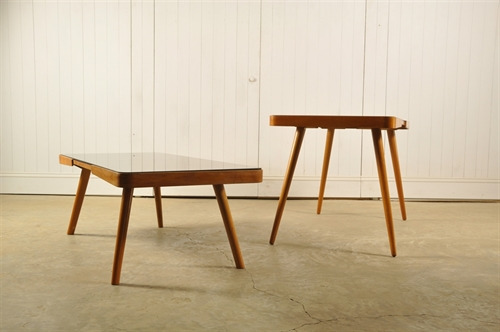 Other than being perfect to go behind a mid century sofa the original height of these is a bit unusual at 60.5 cm.......So on one of the tables I've reduced the height to 40.5 cm to make it more practical as a coffee table ! 1 @ 40.5 cm h x 120 x 55.